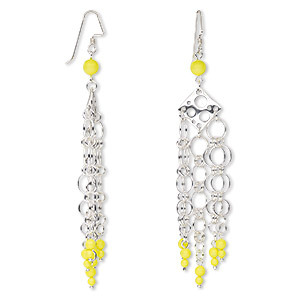 Earrings, One of a Kind Jewelry, Swarovski® crystals and sterling silver, neon yellow, 4-2/5 inches with fishhook ear wire. Only one pair available. 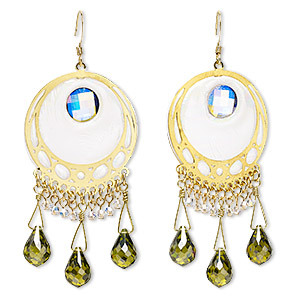 Earrings, One of a Kind Jewelry, Swarovski® crystals / gold-finished brass / plastic, green / clear / white, 3 inches with fishhook ear wire. Only one pair available. 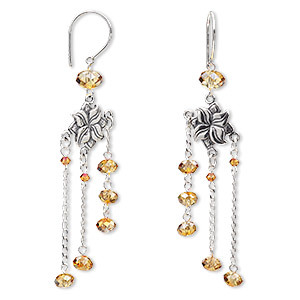 Earrings, One of a Kind Jewelry, Swarovski® crystals / sterling silver / sterling silver-filled, crystal astral pink, 3-1/4 inches with oval ear wire. Only one pair available. 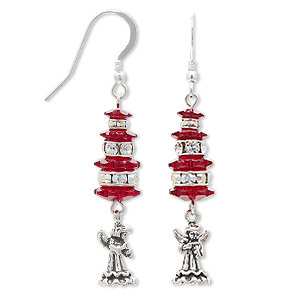 Earrings, One of a Kind Jewelry, Swarovski® crystals / sterling silver / antiqued sterling silver, red and clear, fishhook ear wire. Only one pair available. 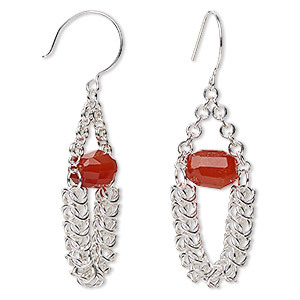 Earrings, One of a Kind Jewelry, carnelian (dyed / heated) and sterling silver-filled, 3 inches with French hook ear wire. Only one pair available. 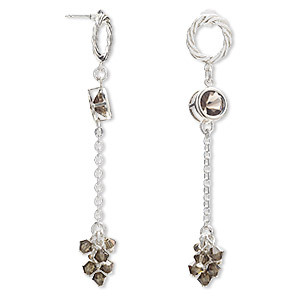 Earrings, One of a Kind Jewelry, Swarovski® crystals / sterling silver / sterling silver-filled, smoky quartz, 2-3/4 inches with post. Only one pair available. 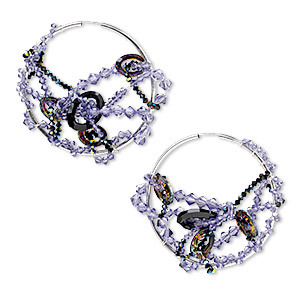 Earrings, One of a Kind Jewelry, Swarovski® crystals and sterling silver-filled, multicolored, hoop. Only one pair available. 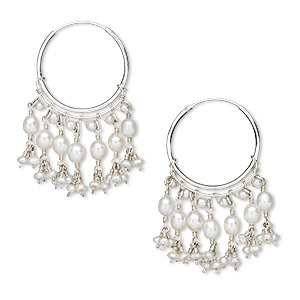 Earrings, One of a Kind Jewelry, White Lotus cultured freshwater pearl (bleached) and sterling silver, white, 45mm with hoop. Only one pair available. 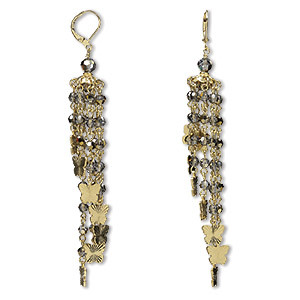 Earrings, One of a Kind Jewelry, Swarovski® crystals / gold-plated brass / gold-finished copper, crystal dorado, 4 inches with leverback ear wire. Only one available. 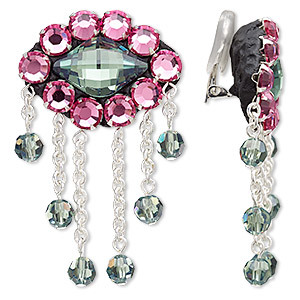 Earrings, clip-on, One of a Kind Jewelry, Swarovski® crystals / silver-plated brass / epoxy, pink and green, 2 inches. Only one pair available. 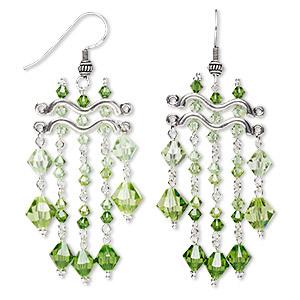 Earrings, One of a Kind Jewelry, Swarovski® crystals / sterling silver / silver-plated brass, green, 79mm with fishhook ear wire. Only one pair available. 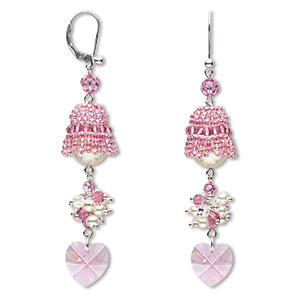 Earrings, One of a Kind Jewelry, Swarovski® crsytals / glass / sterling silver, white and pink, 3-1/4 inches with leverback ear wire. Only one pair available. 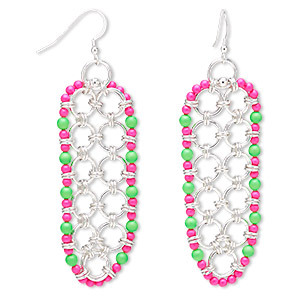 Earrings, One of a Kind Jewelry, Swarovski® crystals and sterling silver-filled, neon pink and green, 3-1/2 inches with fishhook ear wire. Only one pair available.